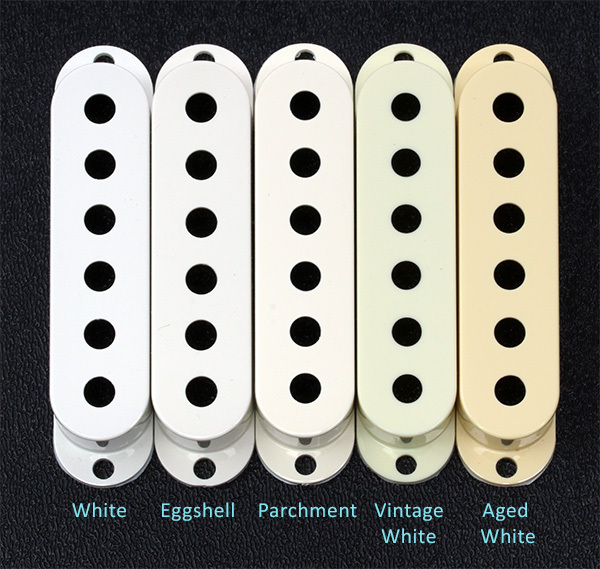 Genuine Fender® Stratocaster® set of 3 Vintage White pickup covers. These pickup covers will not fit any of the noiseless pickups. 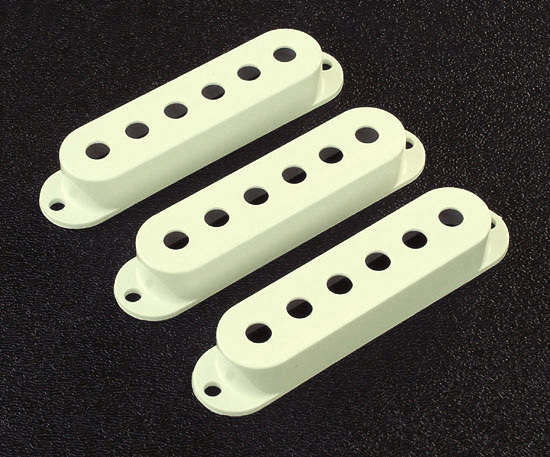 These pickup covers come from genuine Fender Pure Vintage '59 or '65 pickup sets or the Vintage White Accessory kit where we have used the other components for other projects. Brand new. Bulk packaging. Made in USA. A side-by-side comparison of Fender's different accessory colors.